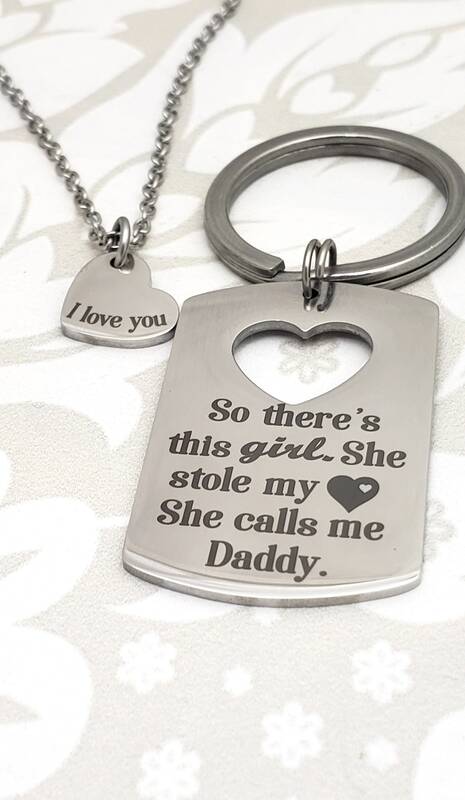 ✺Customization: to reflect a different name for the last line "She calls me _________" <----- can be Dad, Daddy, Father, Uncle, Mom, Mommy, Aunt, Grandma...... etc up to 12 characters. This is a FIRM. If your order includes a custom name with more than 12 characters, it will be canceled without notice. ✺Character definition: letter, number, punctuation, and spaces are all included as one in the character count of 12. 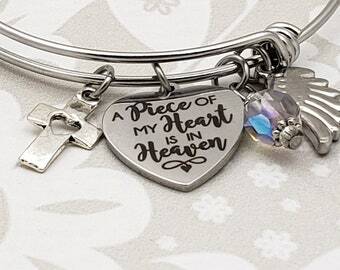 ✺Customization: engraved with a sentiment or a name not exceeding 10 characters. need to scale the text to fit so it's the most attractive looking. work out, this is a great option. ❉The most affordable option and easy for small hands to work with. 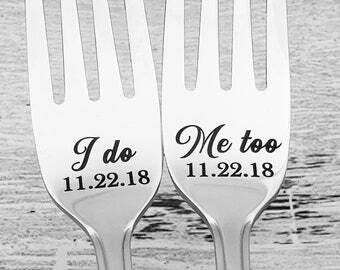 We use a high tech laser engraver/annealer or MARKER. This means the metal is heated at high frequencies and low power to allow a "sharpie" like the look with a smooth finish, NEVER has rough spots or textured/raised engravings that collects lint or can stick to sweaters. You will NOT be able to feel the engraving, but you WILL see a crisp black marking with clean lines and easy to read text. Cleaning is a breeze with any soft cloth. Will not fade as there are NEVER any inks or dyes used.